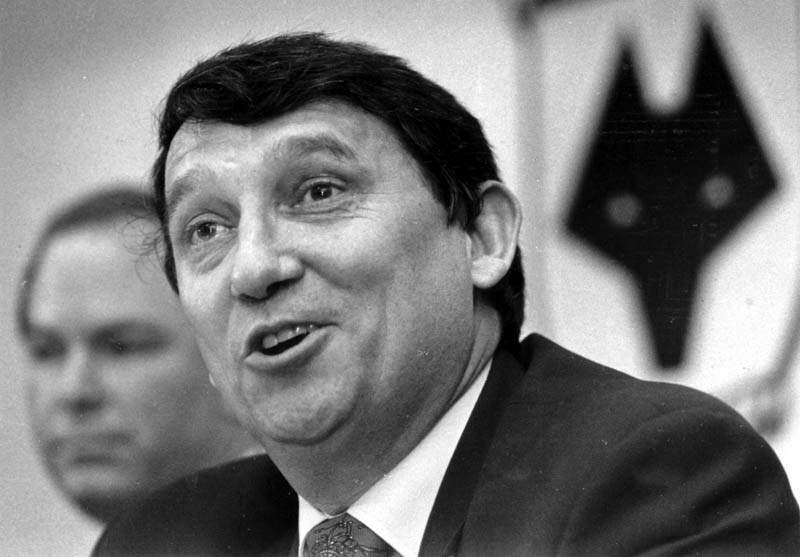 Graham Taylor holds court at Molineux. Those who doubt the substance of the building blocks Graham Taylor put in place at Wolves need only look, in search of an endorsement, at some of the staff he left behind. In addition to being the driving force behind the club’s magnificent training ground and doing much to improve their youth policy, the ex-England boss made several staff appointments which appear to be as sound now as they did during his Molineux tenure a decade and a half ago. This week’s announcement that Taylor’s assistant boss at Wolves, Bobby Downes, had left Blackburn by mutual consent after 12 years as their Academy Manager underlines the feeling that he had some quality people around him. All of which makes it perhaps more surprising that his 20-month reign ended in November, 1995, in such disarray and disappointment. From the backroom team Taylor assembled, Robert Kelly (who he inherited but whose role he changed) and Downes went on to work together briefly at Watford and then for many years at Blackburn. Kelly, who was featured on this site several weeks ago, subsequently served Leicester as coach and manager and is now no 2 to Preston manager Alan Irvine. Steve Harrison, Taylor’s first-team coach at Molineux, was with Middlesbrough for several seasons following a stint back at Aston Villa and has recently linked up with Coventry. And even the two men he had in the role of Wolves’ reserve coach in the mid-1990s are still going strong with impressive CVs. Ian Miller is part of the backroom set-up at Leeds after following up his time in the West Midlands by being on the pay-roll at Blackburn, Blackpool and Leicester as well as working as a Manchester City scout during Sven Goran Eriksson’s time there. The man he replaced, Stuart Gray, has since had a second stint at Wolves as well as others at Southampton, Villa, Crystal Palace and Northampton, the latter of whom he now manages. Downes, a Bloxwich-born Wolves fan who had Peter Broadbent as his boyhood hero, still wants to remain in the game at the age of 59. “There was no animosity with my departure from Blackburn,” he says. “Twelve years is a long time in one place and I felt it was probably time for a change both for me and the club. Bobby Downes in the blue and white synonymous with Ewood Park. Picture provided courtesy of Action Images and Blackburn Rovers. “I’ve worked for a long time in youth development but had many years at the senior level of the game prior to that, including a spell in caretaker charge at Wolves with Robert after Graham left. 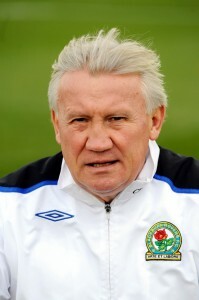 Downes, who served his playing apprenticeship at Albion before going on to Peterborough, Rochdale, Watford, Barnsley and Blackpool, is credited with overseeing the development of numerous players at Blackburn, including David Dunn, Damien Duff, Martin Taylor, Damien Johnson, Jonathon Douglas, Paul Gallagher, Matt Derbyshire, Jay McEveley, Martin Olsson, Eddie Nolan and Joe Garner. Posted on: Thursday, July 16th, 2009.